-100% GUARANTEE- 60 days return and 180 days warranty is provided. Notice:This is DIY product,according renderings (or your own ideas), paste in your favorite place. 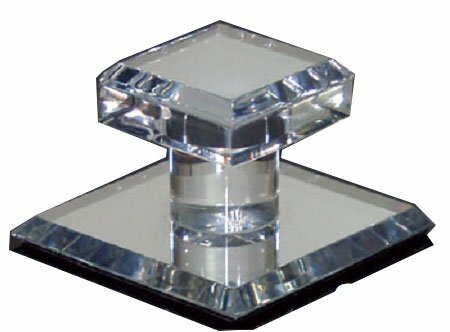 Package Include: 1x Mirror sticker Our decal stickers are made from the best acrylic in the industry. They can last for many years without peeling or fading. Our decal stickers are no harm to the environment and health. Installation prompt: 1.Please keep the wall clean before pasting. 2.First according to the template on the ground, put the product well. 3.Suggest to take a small piece of component test whether suitable for metope. 4.This product can be used again and again, please use another binding to cooperate when you use again. 5.Press firmly to squeeze out any air bubbles. Don't: Ash surface, Broken surface,uneven surface Do:Clean smooth wall,tiles,windows,smooth wallpaper,closets,plastic. 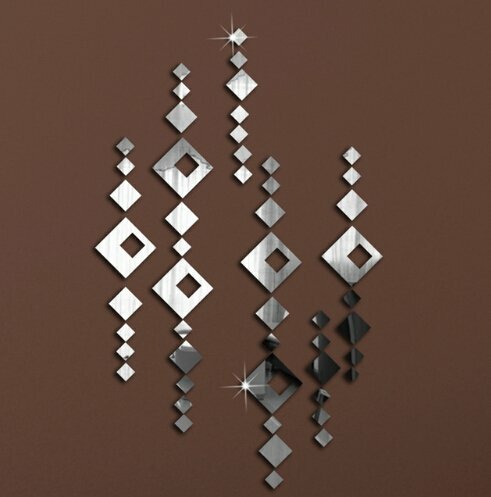 Features: Made of eco-friendly PVC material with a mirror look The surface Anti Oil,waterproof,It can decorate your house Please note: not removable Non-toxic, no fading, safe to us Suitable for living room, bedroom bathroom etc,decoration. Tips: 1. 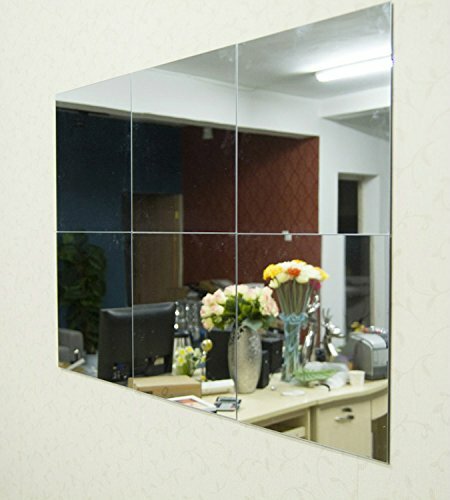 Mirror not glass, so the tear protective film, you just quietly enjoy enough Do not rub, touch, this is a decorative mirror, she needs your careful care 2. After paste, exposing the front protective film, such as by exposing the nails can not afford, can make use of blades, needles, etc., it can be easily torn. 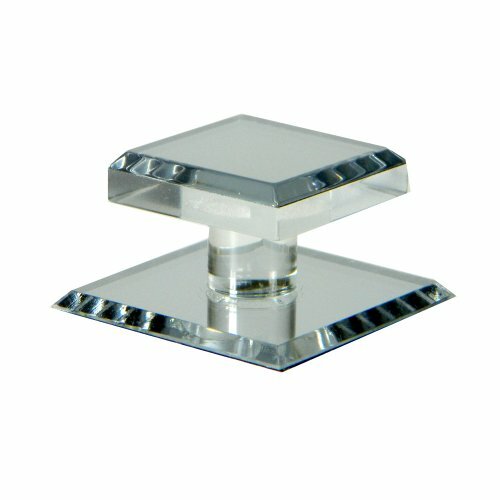 Note: The surface has a protective film on it, when you use it just take it out Manual measuring, please allow 0-1cm error,thank you. 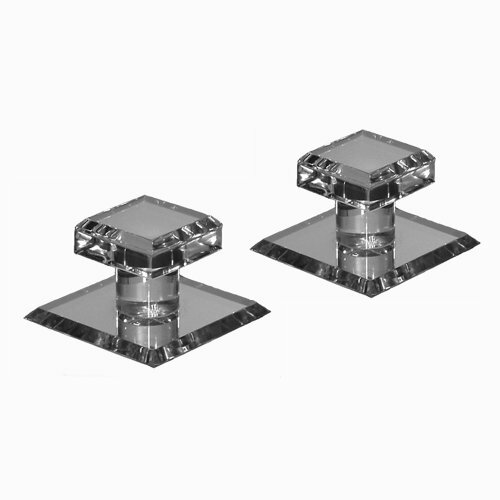 Note: way of method: self-adhensive, no glue required Package list: Quantity: 1 set ( 8 squares)Tips for installation: Ensure the surface is smooth, do not stick on the rough or uneven surface. Choose the place you want to apply, clean up the ash and grease, keep it dry and clean. The surface has a protective film on it when you use it just take it out. 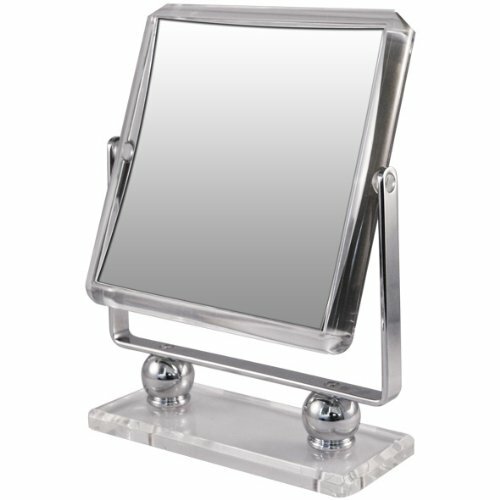 7x Mag Square Metal Acrylic Stand Mirror. 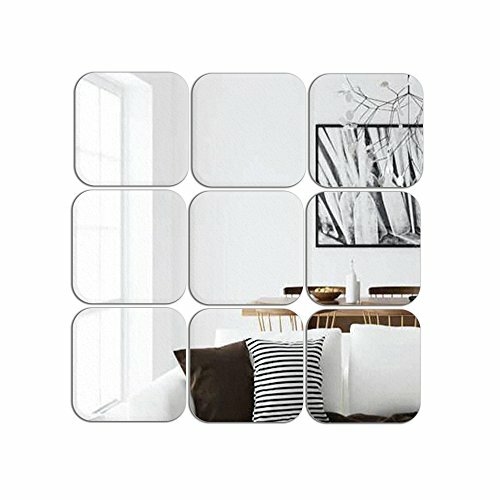 Package: 15x15x0.1mm 16pcs Mirror Wall Sticker. 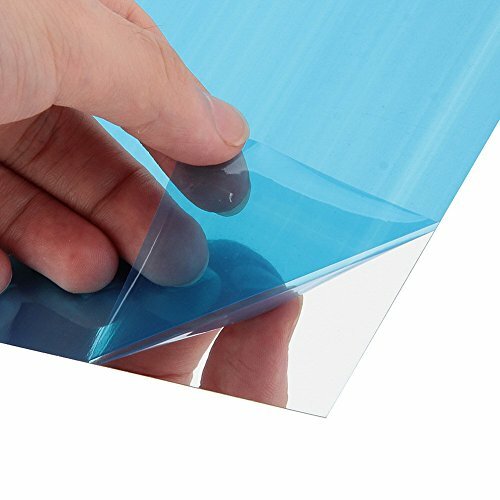 Use: blue protective film on the surface, pulling the protective film that is visible mirror effect. Let you enjoy yourself and believe that you will be happy. 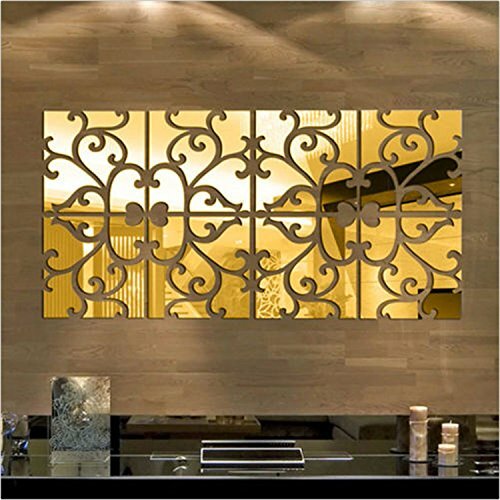 Decorative mirror design makes your home looks different, More attractive. Notice:When cleanness, it is OK to clean dry flannelette or towel,It won't leave a scratch，don't put forth one's strength scrape the flowers.